Since I’m getting ready to launch my own eBook in the not to distant future, I thought this was a very timely article that had a few good reminders that I’ll have to apply to my own writing. This is a guest post by Kevin Harris, a freelance writer for Adobe. Do you have information that other people need? How to plan a wedding, how to do home repairs and renovations yourself, or how to sell your house yourself from beginning to end? An ebook is a great way to cash in on your expert status and start earning money. With a little bit of marketing, your ebook can put money in your pocket on an ongoing basis. But let’s not get ahead of ourselves. First you need to write the ebook! Here are a few tips to get you started. If you are writing your ebook based on work experience or education you already have, you may not need to do much research. Whatever research you need to do, however, you should do first. Not only is it disorienting to stop writing in order to look up some fact or fill in a hole in your research, it can also make your writing disjointed and difficult to organize. And as we will see in a moment, organization is important. If you are writing an ebook on a subject you know fairly well but don’t consider yourself an expert in, always make sure you back up everything you have to say with research. Take thorough notes as you do your research, carefully noting your sources. You may need to provide a list of your sources or a list of books for further reading at the end of your ebook. Remember, quality ebooks provide quality information, so don’t skimp in this area! Whether or not you need to do any research, before you start writing you should always outline the ebook. People who read ebooks are typically looking for information and want to get it right away, which is why they buy a digital book: It can usually be downloaded immediately. Your ebook therefore has to be logically organized, with chapters and subheadings, in order to make the information easier to find. Slapping together a collection of disorganized ramblings is not only unprofessional, it’s frustrating for your readers. The best way to ensure that your ebook is well organized is to outline it beforehand, making sure your research and all of the information you want to include fits in in a logical manner. The ebook should flow from topic to topic naturally. As you write, you should also consider using shorter paragraphs and bulleted lists, as you would on a Web page. People who buy ebooks typically read them a lot like they read your website: primarily by scanning. This cannot be stressed enough. A lot of ebook authors are so impatient to publish their ebook and start raking in the dough that they fail to pay enough attention to the importance of revising the work first. 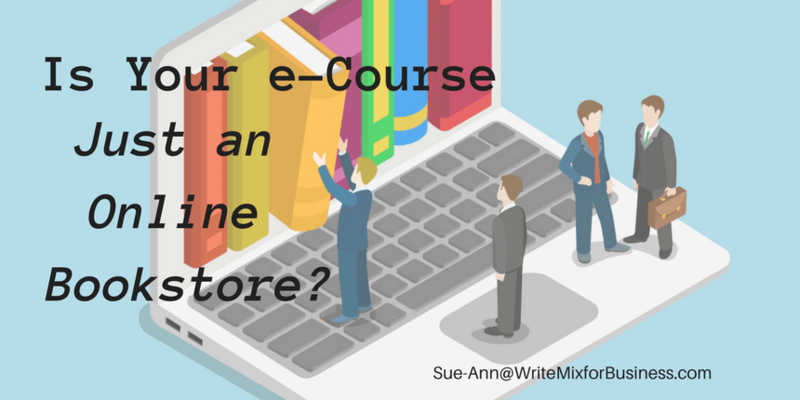 Don’t rush this step in order to get your ebook out there! A poorly written and edited ebook is unlikely to garner many word-of-mouth recommendations, and your sales may actually take a hit as a result. Between the writing and revising stages, it is best to set aside your ebook for a little while, so that you can look at it with a fresh eye when you come back. Put some distance between yourself and the book: Work on another project, or take a break for a couple of weeks. The goal is for the work to stop looking so familiar to you, so that you can spot errors or sentences that don’t sound quite right. As a final step in the revision process, it is always best to have someone else who is good at spelling and grammar, and who knows the subject if possible, read through your ebook. Have your reader mark errors that they find, and once you have made the appropriate corrections, read through the manuscript one more time yourself. Only once you have revised the ebook, and had someone else look it over for problems, is it ready to be published and sold. Once you have finished writing and revising your ebook, it is time to go about publishing it. You have many more publishing options available to you for an ebook than for a regular book. Barnes & Noble and many other electronic publishers will list your ebook for you on their sites in exchange for a cut of each sale. Each publisher may have different formatting requirements, so be sure your ebook is formatted correctly before submitting it. Another option, of course, is to “self-publish” your ebook, which is actually very easy to do electronically. Publishing your own book can be a cheap solution to new books. Many sellers simply set up a website with a PayPal button; once their customers finish paying, they can download the ebook, usually a PDF file. As you can see, creating an ebook and getting it ready to sell isn’t easy, but don’t let yourself be tempted to cut corners. Well-written, professional content will sell better and longer, performing better in the long run than if you cut corners in order to get it out on the market a few days sooner. Have you written and published an eBook? Please share your suggestions and tips in the comments below. Kevin Harris is a freelance writer who utilizes <a href="http://www.adobe.com/products/livecycle/output/">document management software</a> to revolutionize how the world engages with ideas.